The mid-eighteenth century was greatly stirred by two experiences: the rediscovery of Greek art as the original source of classic style, and the excavations at Herculaneum and Pompeii, which for the first time revealed the daily life of the ancients and the full range of their arts and crafts. Richly illustrated books about the Acropolis at Athens, the temples at Paestum, and the finds at Herculaneum and Pompeii were published in England and France. Archaeology caught everyone's imagination. From this came a new style of interior decoration. The Greek phase of this revival proved necessarily limited, as only a narrow range of household furnishings was known at second hand from paintings and sculpture, such as our Crave Stele of Hegeso (fig. 200). When they wanted to work in a Greek style, designers turned chiefly to architecture, whose vocabulary could be readily adapted to large pieces of furniture where it was commingled with Roman elements. Thus it was, for the most part, a classicism of particulars. 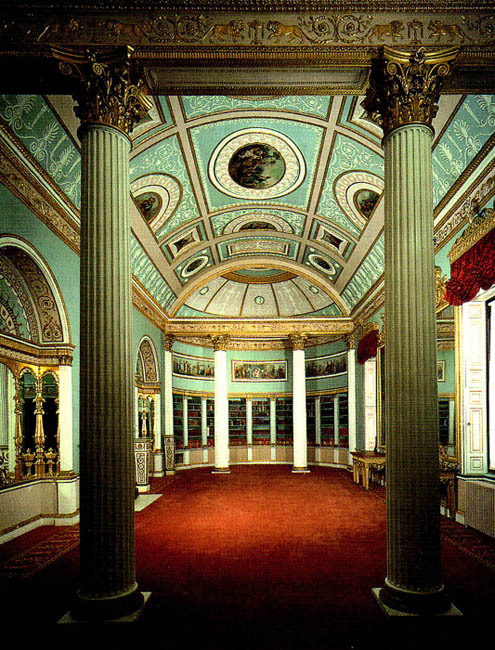 The Neoclassical style was epitomized by the work of the Englishman Robert Adam (1728-1792). His friendship with Piranesi in Rome reinforced Adam's goal of arriving at a personal style based on the antique without slavishly imitating it. His genius is seen most fully in the interiors he designed in the 1760s for palatial homes. Because he commanded an extraordinarily wide vocabulary, each room is different; yet the syntax remains distinctive to him. The library wing he added to Kenwood (fig. 874) shows Adam at his finest. Clearly Roman in inspiration (compare fig. 259), it is covered with a barrel vault connected at either end to an apse that is separated by a screen of Corinthian columns. He was concerned above all with movement, but this must be understood not in terms of Baroque dynamism or Rococo ornamentation but the careful balance of varied shapes and proportions. The play of semicircles, half-domes, and arches lends an air of festive grace. The library thus provides an apt setting for "the parade, the convenience, and the social pleasures of life," since it was also a room "for receiving company." This intention was in keeping with Adam's personality, which was at ease with the aristocratic milieu in which he moved. The room owes much of its charm to the paintings by Antonio Zucchi (1762-1795), later the husband of Angelica Kauffmann, who also worked for Adam, and the stucco ornament by Adam's plasterer Joseph Rose, which was adapted from Roman examples (compare fig. 274). The color, too, was in daring contrast to the stark white that was widely preferred for interiors at the time. The effect, stately yet intimate, echoes the delicacy of Rococo interiors (Adam had stayed in Paris in 1754 before going to Rome) but with a characteristically Neoclassic insistence on planar surfaces, symmetry, and geometric precision. Robert Adam, (born July 3, 1728, Kirkcaldy, Fife, Scot.�died March 3, 1792, London, Eng. ), Scottish architect and designer who, with his brother James (1730�94), transformed Palladian Neoclassicism in England into the airy, light, elegant style that bears their name. His major architectural works include public buildings (especially in London), and his designs were used for the interiors of such country mansions as Syon House (1762�69) in Middlesex (now in Hounslow, London). Robert was the second son of William Adam, the foremost Scottish architect of his time. 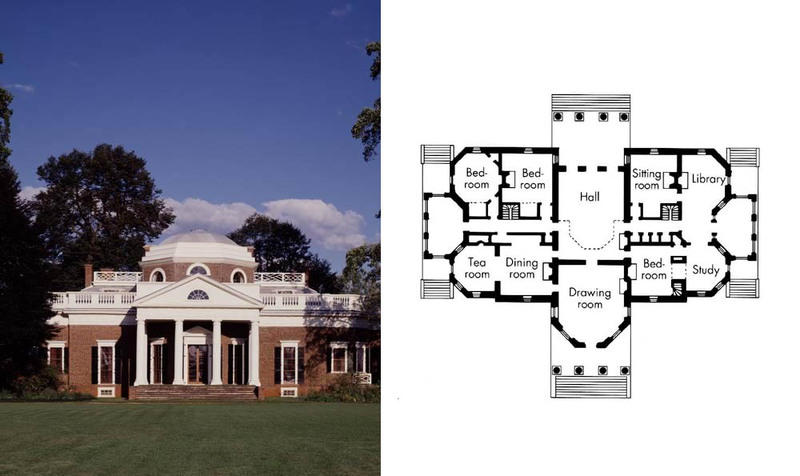 William, who as master mason to the Board of Ordnance in North Britain supervised the design of military buildings, also designed numerous country houses in a conservative Palladian style�the modified classic Roman style that was originally developed by the 16th-century architect Andrea Palladio. The Adam children grew up in the cultured atmosphere of a propertied and well-connected 18th-century family. Shortly after Robert�s birth the family moved to Edinburgh, where at the age of six he entered the Edinburgh High School. In 1743 he enrolled at Town�s College (now University of Edinburgh), but in 1745 he abandoned his studies and the following year entered his father�s office as an apprentice and assistant. William Adam died in 1748, and his Board of Ordnance post passed to his eldest son, John, who took Robert into partnership. In the succeeding few years both benefited from the lucrative contracts that resulted from the appointment. 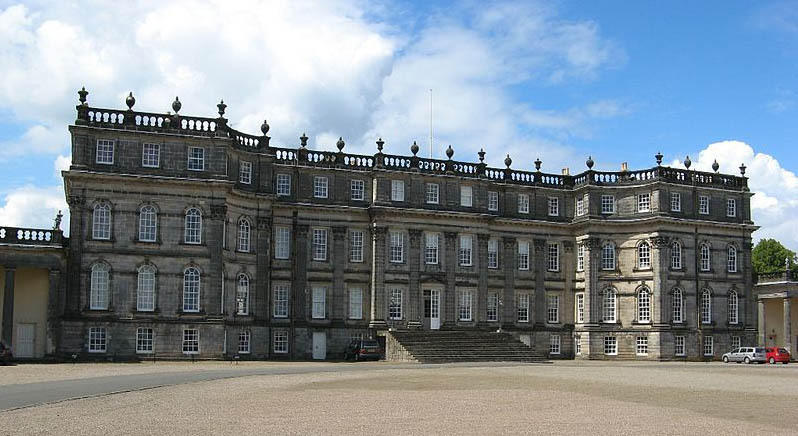 Besides building Fort George in the Moray Firth near Inverness, the Adam brothers also were engaged to complete the interior of the earl of Hopetoun�s house. In their interiors the brothers introduced into Scotland a new, lighter, almost Rococo style of decoration. The other important private commission of these years was Dumfries House, Ayrshire, for the earl of Dumfries. In 1754 Robert Adam, who by then considered himself to be worth £5,000, was invited to accompany the Honourable Charles Hope, the earl of Hopetoun�s younger brother, to Italy. He thus had the opportunity to realize the dream he had been saving for since his father�s death, and, just as important, he had the social advantages of traveling with the brother of an earl. He was as much concerned with meeting young noblemen abroad as with acquiring more architectural knowledge from a study of the monuments of Roman antiquity. The letters he wrote to his family during his years abroad show Adam to be a madly ambitious young man, an arrogant social climber, and yet still a dedicated artist. He met Hope in Brussels, and they proceeded to Paris, where Adam fitted himself out in the latest fashions and set out to �lay in a stock of good acquaintance that may be of use to me hereafter.� After fewer than three weeks in Paris, they set off for Italy via the south of France, visiting en route the ancient Roman sites of Arles, Nîmes, the Pont du Gard, and Montpellier. They reached Genoa early in January 1755 and proceeded to Florence via Livorno. Arriving at the end of the month, they were immediately caught up in the social whirl for which Adam had hoped. I hope to have my ideas greatly enlarged and my taste formed upon the solid foundation of genuine antiquity. serve [him] as an antiquarian�teach [him] perspective and drawing�[and] give [him] copies of all [Clérisseau�s] studies of the antique, bas-reliefs and other ornaments. If I am known in Rome to be an architect, if I am seen drawing or with a pencil in my hand, I cannot enter into genteel company who will not admit an artist or, if they do admit him, will very probably rub affronts on him in order to prevent his appearing at their card-playing, balls and concerts. Shall I lose Hope and my introduction to the great, or shall I lose Clérisseau and my taste for the grand? He quarreled with Hope, and the two separated. 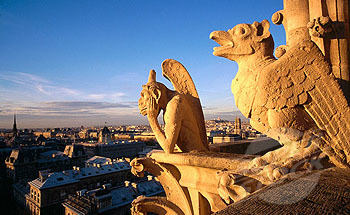 Taking rooms for himself and Clérisseau, Adam settled down to serious study, visiting, sketching, and measuring the monuments of antiquity. Among the important figures he met in Rome were the art collector Cardinal Giuseppe Albani and the engraver Giambattista Piranesi, who dedicated to him his plan of ancient Rome in his book Il Campo Marzio (1762), which contained an engraved portrait of Adam. could not help considering my knowledge of Architecture as imperfect, unless I should be able to add the observation of a private edifice of the Ancients to my study of their public works. They spent five weeks at Spalato, preparing the drawings that were to be published in 1764 as Ruins of the Palace of the Emperor Diocletian at Spalatro in Dalmatia. Having nearly exhausted his money and anxious to return to England, Adam had to forgo the pleasures of further expeditions to Greece and Egypt. He returned to London in January 1758, his head full of details of Roman antiquities. Palladianism was losing its appeal, and the public was ready for a new architectural style. Adam lost no time in making his reputation, and by the mid-1760s he had, with the help of his younger brother James, who joined him in London in 1763, created and fully developed the Adam style. They later claimed that it �brought about, in this country�a kind of revolution in the whole system of this useful and elegant art.� The Adam style was marked by a new lightness and freedom in the use of the classical elements of architecture�a fresh combination of many architectural elements. In the Royal Society of Arts building (1772�74), for instance, Adam placed Ionic capitals below a Doric triglyph frieze, a liberty a Palladian would never have dared take. The various influences included the Palladianism of Richard Boyle, 3rd earl of Burlington, and William Kent, both architects; the movement and vigour of the architecture of Sir John Vanbrugh; contemporary French work, discernible particularly in details, planning, and furniture design; Roman archaeology; and Italian Renaissance decoration, particularly the fanciful ornamentation of the 16th century. Adam�s genius lay in his synthesis of these various lines of development. The Adam style was essentially a decorative style, and it is as a designer of interiors that Adam is chiefly remembered. He gave meticulous attention to every part of each room, from the carpets to the most unobtrusive decoration. Adam�s first important work in London was the Admiralty Screen (c. 1760). Through the influence of John Stuart, 3rd earl of Bute, a friend of King George III, he was appointed architect of the King�s Works in November 1761 along with William Chambers, his principal architectural rival. By the early 1760s he had many domestic commissions; almost without exception these consisted of the completion or redecoration of earlier houses. It was ironic that, despite his fame and ability, Adam was rarely called upon to build completely new houses, nor was he to realize his grandiose ideas for public buildings until the very end of his life. The first Adam interiors at Hatchlands (1758�61), Surrey, and Shardeloes (1759�61), Buckinghamshire, were still near-Palladian, but by 1761 his mature style was developing. Commissions from this time include Harewood House, Yorkshire; Croome Court, Worcestershire; Kedleston Hall, Derbyshire; Bowood House, Wiltshire; and Osterley Park, Middlesex (now in Hounslow, London). In 1762 he was employed to redesign the interior of Syon House. Adam produced an important plan that proposed filling an old centre court with a vast, domed, pantheon-like hall; it was not executed, however. The entrance hall of Syon, based on a basilica�a rectangular building divided into three areas by two rows of columns�with its half-domed ends, is one of the most significant Neoclassical interiors in England. Other houses from this early phase include Adam�s first completely new house, Mersham-le-Hatch (1762�72), Kent; Lansdowne House (1762�68), Berkeley Square, London; Luton Hoo (1766�74), Bedfordshire; Newby Hall (c. 1767�80), Yorkshire; and Kenwood House (1767�68), Hampstead (now in Camden), London. The south front of Kedleston Hall (1757�59) provides an example of Adam�s exterior treatment. His theme of a triumphal arch as the exterior expression of the domed interior hall is the first use of this particular Roman form in domestic architecture. The double portico (an open space created by a roof held up by columns) at Osterley Park, derived from the Portico of Octavia, Rome, is a similar Neoclassical motif. In 1768 Robert and James Adam leased a site on the River Thames for a speculative development to be known as the Adelphi (it was almost totally destroyed in 1936). They invested a large sum on embanking the site and building several terraces of houses (1768�72) in which the Adam interior style of slim pilasters supporting a shallow frieze and cornice�the middle and uppermost sections of an entablature�was brought outdoors. It was, however, a financial disaster. In 1773 they again speculated unsuccessfully in a group of stuccoed terraces in Portland Place, London. The Adams built three major London houses in the 1770s, which were superb examples of their mature style�Wynn House (1772�74), No. 20, St. James�s Square, for Sir Watkin Williams-Wynn; Home House (1775�77), No. 20, Portman Square, for the countess of Home (the original site of the Courtauld Institute of Art [see Courtauld Institute Galleries]); and Derby House (1773�74; demolished 1862) in Grosvenor Square for the 12th earl of Derby. Movement is meant to express, the rise and fall, the advance and recess, with other diversity of form, in the different parts of a building, so as to add greatly to the picturesque of the composition. Robert Adam designed and built a number of romantic neo-Gothic castles, mostly dating from the 1780s, in Scotland. The most important of these is Culzean (1777�92), Ayrshire, for the earls of Cassilis. Another neo-Gothic work is the interior of Alnwick Castle (c. 1770�80; destroyed in the 19th century), Northumberland. Toward the end of his life, Adam built the Register House (1772�92), Edinburgh, in which he realized the conception of a monumental domed hall within a square, envisaged at Syon some years earlier. 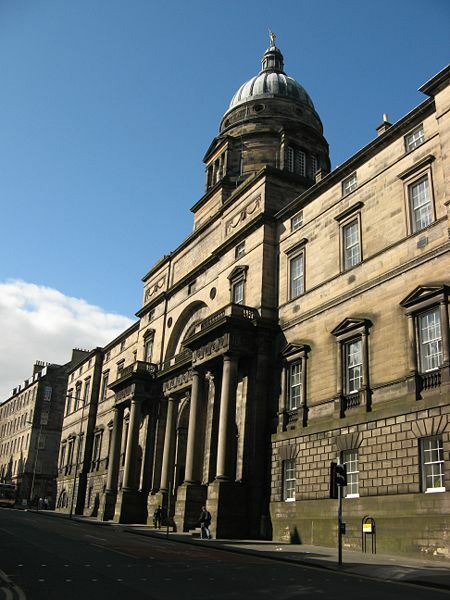 In 1789 he designed the University of Edinburgh, whose entrance front is perhaps his most successful exterior. At Fitzroy Square (1790�94), London, and Charlotte Square (1791�1807), Edinburgh, he experimented for the last time with the introduction of movement into street architecture. Adam was buried in Westminster Abbey. The bulk of the nearly 9,000 drawings he left were purchased by the architect Sir John Soane in 1833 and are in Sir John Soane�s Museum, London. Hopetoun House, near South Queensferry, Scotland. Detail of Entrance front as designed by William Adam. The house designed by James Paine, Matthew Brettingham and finished by Robert Adam. Old College, University of Edinburgh. Designed by Robert Adam. Meanwhile, the Palladianism launched by Lord Burlington had spread overseas to the American Colonies, where it became known as the Georgian style. 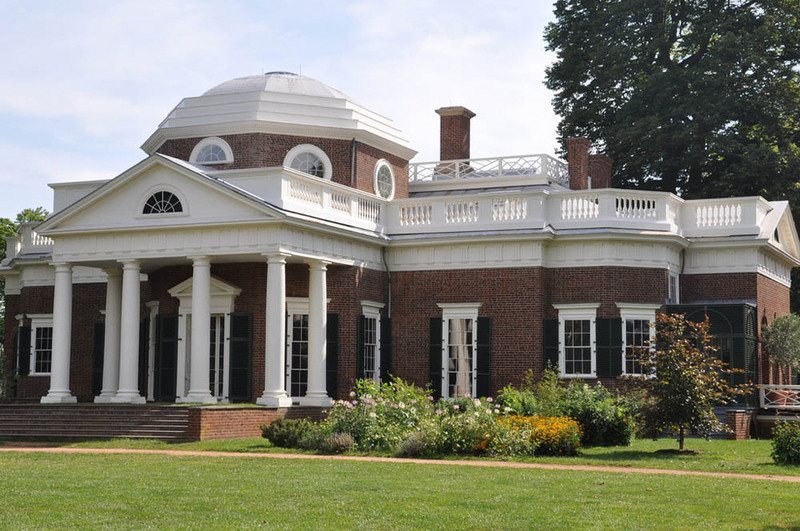 An example of great distinction is Thomas Jefferson's house, Monticello (figs. 875 and 876). Built of brick with wood trim, it is not so doctrinaire in design as Chiswick House. (Note the less compact plan and the numerous windows.) Instead of using the Corinthian order, Jefferson (1743-1826) chose the Roman Doric, which Adam had helped to legitimize as an alternative to the stark simplicity favored by Lord Burlington, although the late eighteenth century came to favor the heavier and more austere Greek Doric. 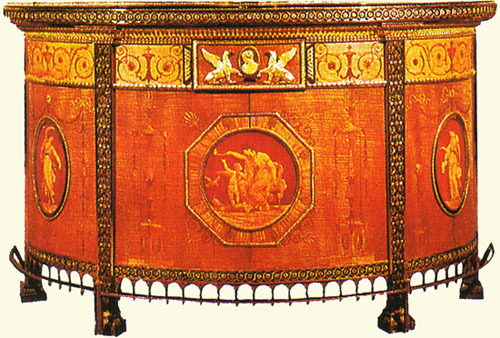 The elaborate decorations, smooth curves, and gilded ornamentation of Rococo furniture was followed by the straight lines and austere geometric motifs of Neoclassicism. Robert Adam was the first to embrace the new colours and tones, embellishing his furniture with delicate Neoclassical motifs. 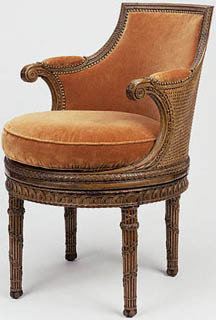 Georges Jacob (1739-1814) became the emperor's highly acclaimed cabinet-maker; he substituted maple, oak. 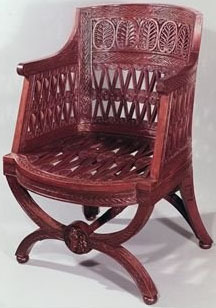 beech, cherry, and apple wood for the more fashionable mahogany, which was difficult to obtain because of the ban on importing goods from the British colonies. Palmettos, small rose windows, acanthus leaves, and sphinx heads were the most popular bronze decorations. Pompeiian tripods were used as bases for tables and small pieces of furniture: chairs were modelled on the curule chair (used by the highest civil officials of ancient Rome); and beds on the triclinium (dining couch). 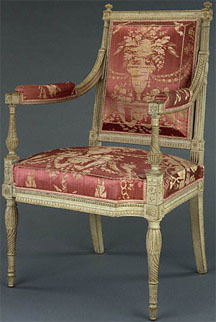 English and French Neoclassical furniture was adopted throughout Europe. In Russia, for example. Catherine II's Scottish architect Charles Cameron (1745-1812) designed fine pieces in Adam's style. Georges Jacob, (born July 6, 1739, Cheny, Fr.�died July 5, 1814, Paris), founder of a long line of French furniture makers. He was among the first cabinetmakers in France to use mahogany extensively and excelled at carved wood furniture, particularly chairs. Born of a Burgundian peasant family, Jacob moved to Paris at 16 and is believed to have been apprenticed to Louis Delanois. 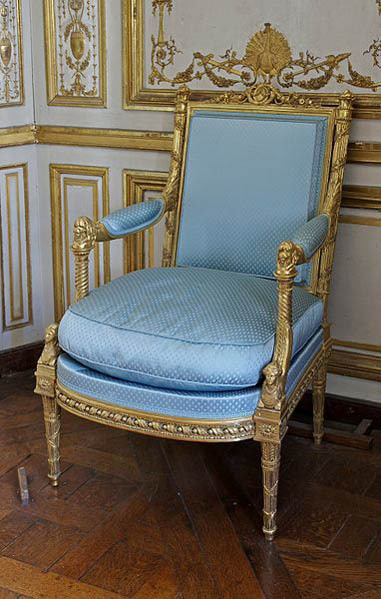 He made chairs for Marie-Antoinette and other members of the royal household but became better known after the Revolution. With the help of the painter Jacques-Louis David, he was commissioned to make furniture for the revolutionary Committee of Public Safety. He retired in 1796, handing over the business to his two sons, Georges and François-Honoré, but seven years later, on the death of Georges, he returned to the firm, which was renamed Jacob Desmalter. Jacob�s fame is mainly attached to pieces he made for the Bonapartes late in his career. overall balance of design and painted decoration. 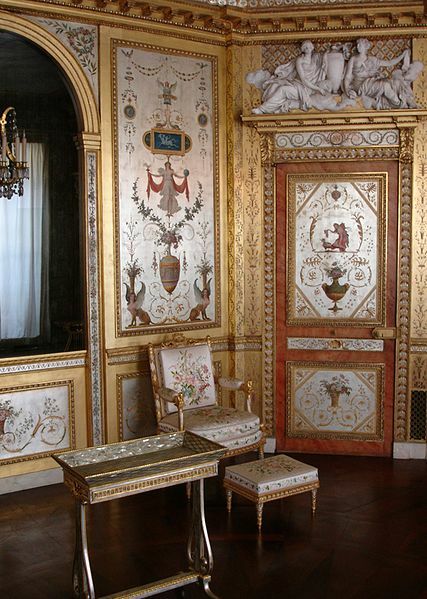 An armchair by Georges Jacob, Cabinet de la méridienne, Petits appartements de la Reine, Château de Versailles. Le Boudoir de la reine (1786) à Fontainebleau, France, conçu par Pierre Rousseau pour la reine Marie-Antoinette. Table à ouvrage en auge de Jean-Henri Riesener, fauteuil à la reine copié d'après l'original de Georges Jaccob, le tabouret de pied, du même ébéniste, est d'origine.